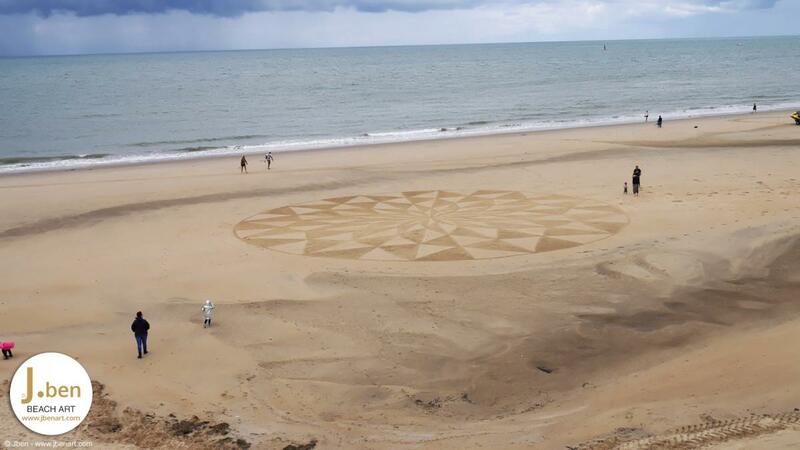 A second Mandala more complex with many checkerboard traced Beach art project for the Grande Côte nearSaint-Palais sur Mer. 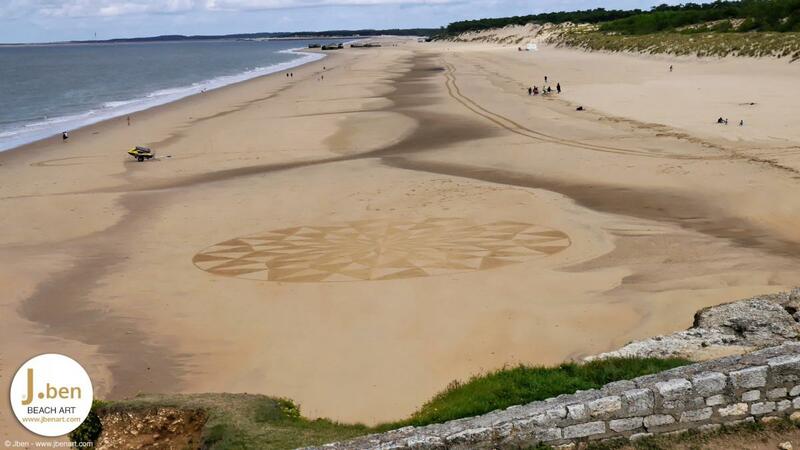 This Mandala follows the curves sandbanks exposed by the tide. 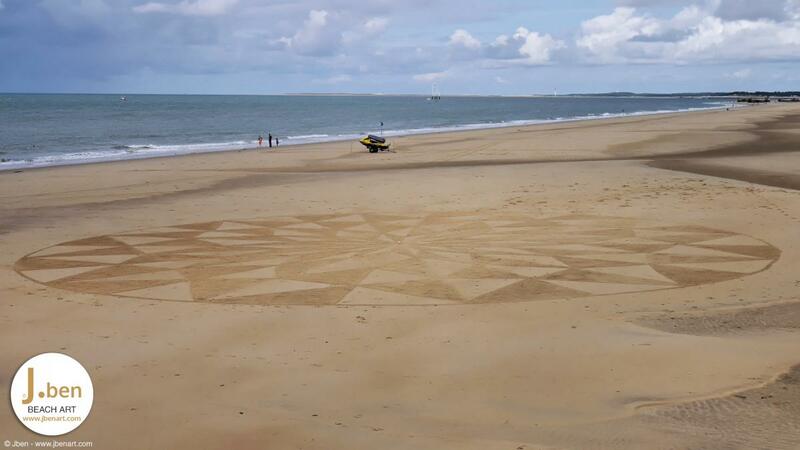 Few hours of introduction to the plots and the filling due to the complexity of the drawing. 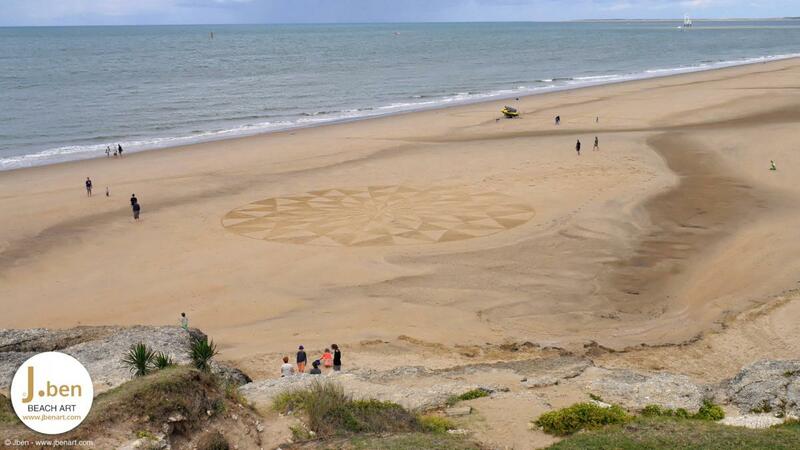 It is sure that some aerial photos to give it its scope. Otherwise, some pictures from the rocks will be taken to immortalize. Error: Error validating access token: Session has expired on Monday, 05-Nov-18 05:38:02 PST. The current time is Monday, 22-Apr-19 08:04:42 PDT.